Dynasty is back on TV. That’s right the popular 80’s prime-time soap opera is in production one more time and the new season is now filming in the Atlanta area. Last year, in September, the CW network announced that the show will be getting a reboot and bringing back the characters of the original series, of course, with a new cast to tell the saga of the powerful Carrington family. This is the second 80’s prime-time soap opera to get a remake as a few years back Dallas did the same. Unlike Dallas which continued the original story with a new generation of rich guys, Dynasty will be resurrecting the old characters with new actors. Sometime back it was announced that a reboot of the 1980s prime time soap opera Dynasty was being developed as a new TV series by the CW Network. According to the Dynasty wiki page, The new show is being co-written by Josh Schwartz, Stephanie Savage, and Sallie Patrick. Also, the network announced that the original creators of the 80’s hit soap, Richard and Esther Shapiro, were on-board to produce. The new series pits one heiress against her soon to be step-mother, with Fallon Carrington (the daughter) facing off against dad’s new wife, Cristal. The original Dynasty premiered on January 12, 1981 with powerful oil tycoon Blake Carrington played by John Forsythe about to marry his younger secretary, Krystle Jennings (Linda Evans). Beautiful, and new to Blake’s rich and powerful world, Krystle finds a hostile reception in the Carrington household, especially when it comes to Blake’s daughter, Fallon, played by Pamela Sue Martin. The Dynasty TV show also made British actress Joan Collins a household name when her character Alexis, was introduced in season 2. Seems that will be a story line in the new show as well, with the exception that Krystle Jennings is now Cristal Flores, a Latina… Let the back stabbing begin! The original Dynasty was filled with family squabbles, power grabs, and all the usual drama one would expect from a soap opera. The Dynasty TV pilot was shot quite a few months back in the Atlanta area and season 1 of the show is also filming in the ATL. 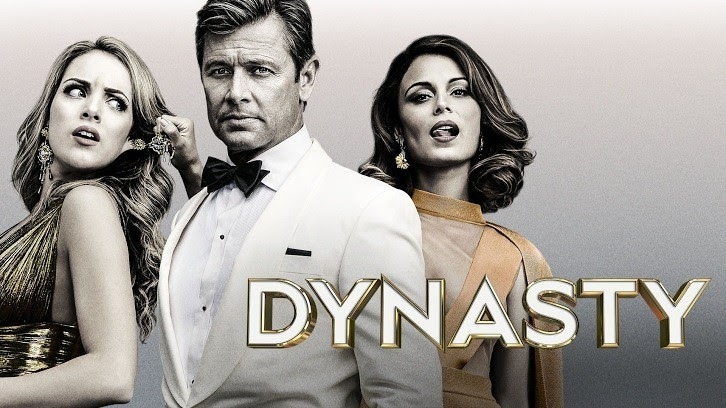 Dynasty will star Grant Show as Blake Carrington, Nathalie Kelley as Cristal Flores, Elizabeth Gillies as Blake’s daughter Fallon, and James Mackay as his son Steven. The pilot, which was announced in September 2016, was ordered to series in May 2017. Dynasty will premiered on October 11, 2017 and is currently filming the 2018 season of the show. Currently booking (3) SKATEBOARDERS to work Wednesday, April 3rd. Looking for ADULTS TO PLAY YOUNGER. Please submit your best photos, showing your current look! Director will be picking BG to work this small, intimate scene; Expecting a late afternoon/evening call. Plan to work 6-8hrs. Submit as instructed to be considered for this booking. See breakdown below…. [SKATEBOARDERS] Male/Female; Open ethnicity; ages 18-28; Looking for adults to play TEENAGERS. Note your experience level or how long you have been skateboarding in your submission. Include a video of you skateboarding for consideration!! If you do not own your own skateboard, helmet,safety pads, etc, please let us know. How could you be filming for the 2018 season when we are 1/3 into December 2018? The earliest anything you shoot won’t be “in the can” and edited until 2019. TV shows are fast actually. Not uncommon to film, edit, etc for a few episodes away. Most shows film during the current season, a few episodes back…If they can. I used to work in production. We would film Monday, edit Tuesday, re-shoot (parts not right) Wednesday, approve Thursday and air Friday, at times. Not ideal, we always wanted to be a few weeks up, but it can be done. Weekly TV shows do not normally have all the episodes ready when they premier. They film through the season and try to be a few episodes ahead.